Last week, ionomy's Chief Strategist, Adam Matlack, and General Manager, Richard Nelson, sat down for a live update and Q & A session on Google Hangouts to discuss a slew of updates and the New Year’s goals for 2019. In case you missed it, I thought I’d recap the main highlights because there’s just so much going on with ionomy right now. So, let’s right dive in! Starting with some very big news, iomony is right on the verge of adding Ethereum to the backend as well as other Ethereum tokens. They’ve been working hard to get the ionomy.com platform ready for this, so look out for this update very soon. 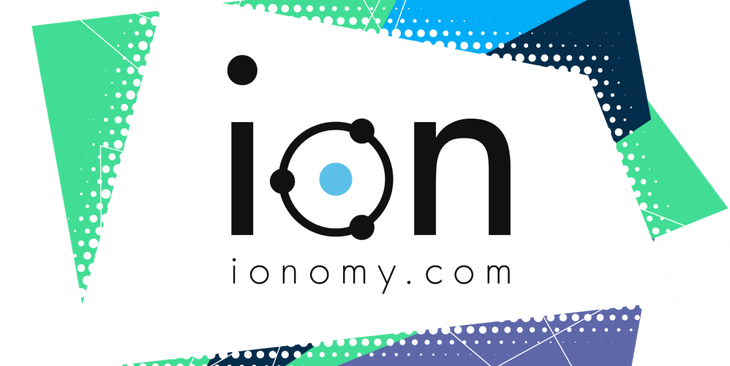 And, speaking of tokens, ionomy has decided that in the future, its own token, ION, will strictly be accepted on the platform. Technically, you will still be able to use other cryptos but the platform will automatically swap them out for ION for you. This really serves the purpose of helping to increase the value of ION; ionomy is growing and the more people use its services, the more volume will be directed to the ION currency. The ionomy Power Grid (PWR-GRD) is making steady gains. They have been re-doing the Lightning API for the past month, and they are pretty happy with where it’s going. PWR-GRD, as you may know, is what ionomy has been designing this past year and it’s almost complete. Currently, they are in the stages of analyzing the competition and just making sure it serves developers and gamers to its fullest potential. What is PWR-GRD? It’s sort of an extension of ionomy. While ionomy is geared more to gamers and traders, the PWR-GRD is for game developers. Its features are being built to make the complex process of game development more streamlined. Thunder, for instance, lets game developers create their own in-game tokens on the blockchain easily, which is a pretty big deal for creating customer loyalty. The Team said they are very close to having Thunder and Jumpstart (a crowdfunding system for new games) ready, too. Other parts of the PWR-GRID moving along are Spark, an in-game ad network, and Swarm, which will facilitate low-latency multiplayer gaming. The ionomy team plans to travel to Korea in mid to late January to meet with companies in Korea looking to leverage their propensity for cryptocurrency and gaming. This could lead to some very exciting partnerships in the future. Korea just so happens to be on the forefront of the rapidly-growing cryptocurrency market - a crazy 39% of Koreans now own crypto, compared to 8% of Americans. Needless to say, there’s lots of potential to grow ionomy by aligning with this market. GravityV2 will be in stores next week, and the Rumble Arena integration will hopefully be complete in the first quarter of the year. Also, Offroad Heat has some updates coming that will include new maps. Dark Matter (XDM) is also coming in 2019 (hopefully in the first quarter, the Team said). Dark Matter isn’t just an ordinary token; you can create tokens on the ION chain with it. How cool is that? If you’re looking forward to getting some Dark Matter (XDM) not only can you get it in the auction but in the Dark Matter airdrop to ION, ATOMs, and other cryptocurrencies that will be voted on. The next fork will happen around the beginning of February. The exact date will be released soon. With all the cool games ionomy Studios is developing, they decided to expand their team of game developers which is great news for all of us looking forward to the release of UrbanWords! Additionally, ionomy has just brought on a full-time online marketer to rev up marketing efforts. Wow, I told you there was a lot of updates! I think it’s safe to say the ionomy Team will be very busy this year! If you want to see the entire Hangout and a peek of the new PWRGRD dashboard, do check it out here AND, to stay up-to-date with ionomy, you can register for announcements on ionomy.com.